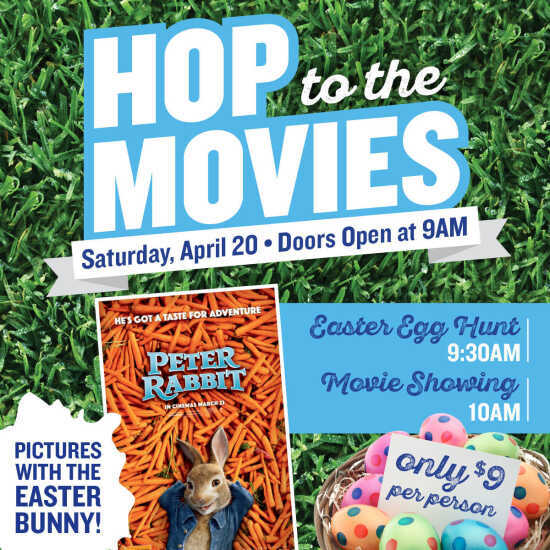 Hop in to select Marcus Theatres for a morning full of Easter celebrations on Saturday, April 20! Beginning at 9 a.m., get your picture taken with the Easter bunny, plus enjoy coloring and craft stations. Then, at 9:30 a.m. participate in an Easter egg hunt prior to a 10 a.m. showing of “Peter Rabbit.” Admission is just $9 per person! Visit www.MarcusTheatres.com/Hop for a list of participating local theatres and to purchase your tickets.